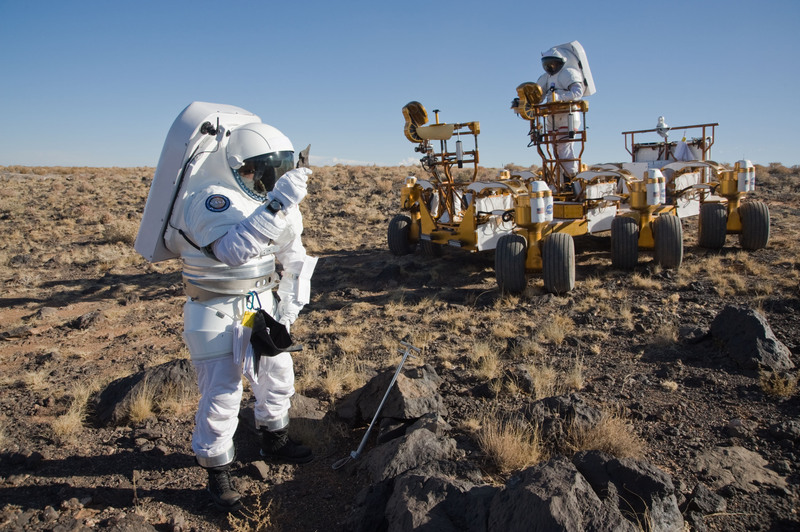 NASA Connecticut Space Grant Consortium (CTSGC) is excited to announce recipients of its Spring 2018 Special Request for Proposals. Award recipients, which include 5 faculty and 16 graduate/undergraduate students, represent 10 NASA CTSGC academic affiliate member institutions. Below are the names of all recipients and descriptions of the Faculty Research, Faculty STEM Education Programming, and Graduate/Undergraduate Research Fellowship projects. Congratulations to all the awardees and a special thank you to our Campus Directors who helped review the proposals! The ideal robotic system for space and extraterrestrial applications would be one that is lightweight and compact during transport, but able to adapt its stiffness, structure, and mass for task performance. The goal of the proposed project is to realize deployable self-constructing robots (bagbots) based on robotic skins that ingest and manipulate material. A bagbot will be transported as a lightweight system, but will perform forceful tasks by self-constructing a body made from clay or regolith surface materials. Bagbots are optimal for exploration of unknown environments, which directly contributes to NASA’s strategic goal to expand human knowledge through scientific discoveries. Entangled granular media such as u-shaped particles can be packed into low-density, jammed structures that resist compression and extension. Prior work has shown that these materials can be used as freestanding, load-bearing structures under gravity. Using experimentally validated computer simulations, we will demonstrate the existence of geometric cohesion in zero-gravity environments, and study the effect of variations in particle shape, friction coefficient, and bending rigidity on the mechanical properties of geometrically cohesive packings. We will develop the capability to program materials with a given strength that can be efficiently disassembled through vibration, and reassembled for the next application. Prolonged exposure to microgravity results in skeletal muscle atrophy. The aim of this proposal is to study how different cell types regulate skeletal muscle homeostasis. Exosomes are small extracellular vesicles that carry specific cargo to neighboring cells and tissues where they affect protein function, gene expression, and ultimately cell viability and cell function. We will study whether exosomes derived from endothelial cells play a role in regulating skeletal homeostasis. A better understanding of the molecular pathways involved in regulating skeletal muscle viability will help in the development of new treatments for the prevention or quick reversal of muscle atrophy. Sulfur plays an integral role on Jupiter’s volcanically active moon, Io, where sulfur-dominated plumes erupt to heights of 500 kilometers above the surface. As such, sulfur is an important component in the subsurface of Io, though the high-pressure properties of sulfur remain poorly understood. Additionally, a number of exoplanets exhibit sulfur-rich atmospheres. I propose to determine sulfur’s phase diagram at planetary interior conditions. These experiments will provide insight and expand knowledge of the evolution of bodies within our Solar System and beyond in accordance with goal 1 and objective 1.1 set forth in NASA’s 2018 Strategic Plan. How did volatiles accrete in the rocky materials of early Earth? Some plume volcanoes carry chemical signatures that bear strong resemblances to a primordial Earth. I am studying emission rates of trace volatile mercury and volcanic CO2 at Newberry Volcano, Oregon. I aim to track how much of these species is released by the volcano and injected into a crater lake. Mercury is largely stored in sediments whereas CO2 is released as a surface flux from the lake. Detailed chemical data on sediment and CO2 fluxes will allow me to calculate a Hg/CO2 value that may represent the primordial Earth. I will compare the obtained ratios with Hg and C analyses of suites of meteorites. Commercial supersonic aircraft are becoming a reality again as technology continues to move closer to a realizable aircraft. While the engines are designed for peak efficiency at Mach 2, they must also operate at subsonic speeds. When flying at subsonic conditions, engine noise becomes the largest contributor to the overall noise of the aircraft. A computational acoustic analysis will be completed on a commercial supersonic engine inlet with a spike center-body. This project will develop computational methodologies to characterize the radiated acoustics with the auxiliary doors open and closed. This work directly supports Thrust 2 of the NASA Strategic Implementation Plan 2017. Examination of galactic rotation curves in the local universe has yielded evidence of both cusp and core type dark matter profiles. We present one of the first studies of a galactic rotation curve for a distant gravitationally-lensed massive, dusty star-forming galaxy, CL2244-1, with a spectroscopic redshift 1.77. Using VLT/XSHOOTER spectroscopy, we perform a 2D spectral analysis of the H$/alpha$ emission. With this rotation curve, we fit a dark matter density profile and determine the functional form of the profile (cusp or core). Predictions from comparing the shape of the rotation curve of CL2244-1 to that of M33 and other galaxies in the local universe suggest that the dark matter profile of CL2244-1 is best represented by a cuspy profile. Though this cuspy profile supports the cold dark matter cosmological model, we cannot rule out self-interacting dark matter, whose interactions may not have had time to shift the density profile to a core at such early times. The purpose of the proposed research is to successfully design, implement, and test an aeroservoelastic control system to suppress flutter of an aircraft wing using optimal control methods. There are four main objectives of this research. First, an accurate aeroservoelastic model will be developed. Second, the controller will be designed to yield an optimal and stable response past the flutter speed via the minimization the wing’s energy as well as the input energy using state feedback and gain-scheduling by air velocity. Third, the controlled aeroservoelastic model will be simulated, and the stability, time response, and robustness will be validated. Fourth, the control system will by physically implemented on a flexible wing, which will be subjected to wind tunnel testing and analyzed. Through these objectives, the proposed research will contribute to aerospace engineering and bring flexible aircraft concepts closer to the creation of commercially viable high-efficiency, lightweight flexible aircraft. The proposed research project examines the differences in composition between Venus’ volcanic plains and the elevated terrain of older material of unknown composition. Using radar properties of the terrain, we week to find strong evidence that properties of this older material is consistent with minerals high in silica content, which would only have been able to form on a planet abundant with water. This research would provide valuable information for learning about history of our solar system and how it evolved to its current state, which are currently goals of NASA.